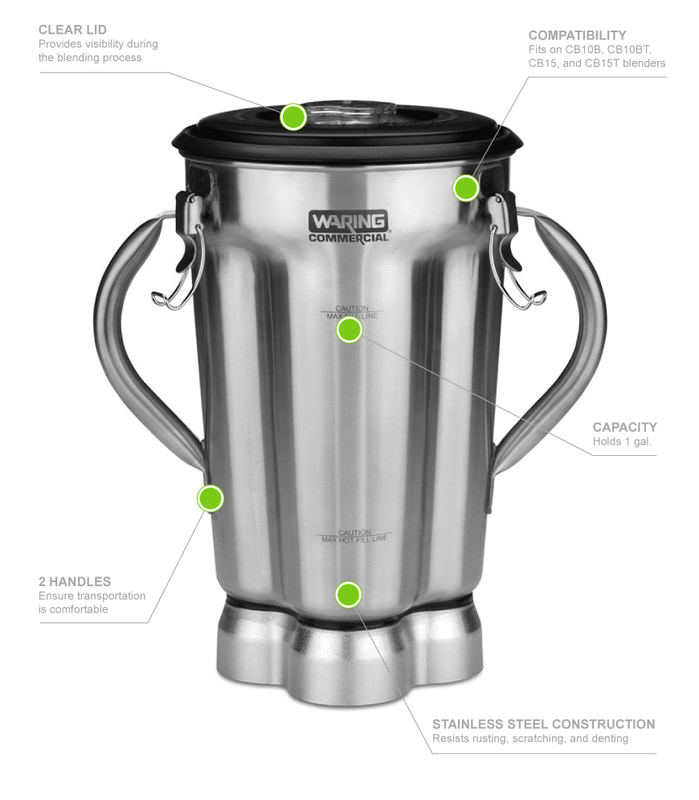 The Waring CAC72 blender container has a 1-gallon capacity. Made of stainless steel, the jar is heavy duty and simple to clean. 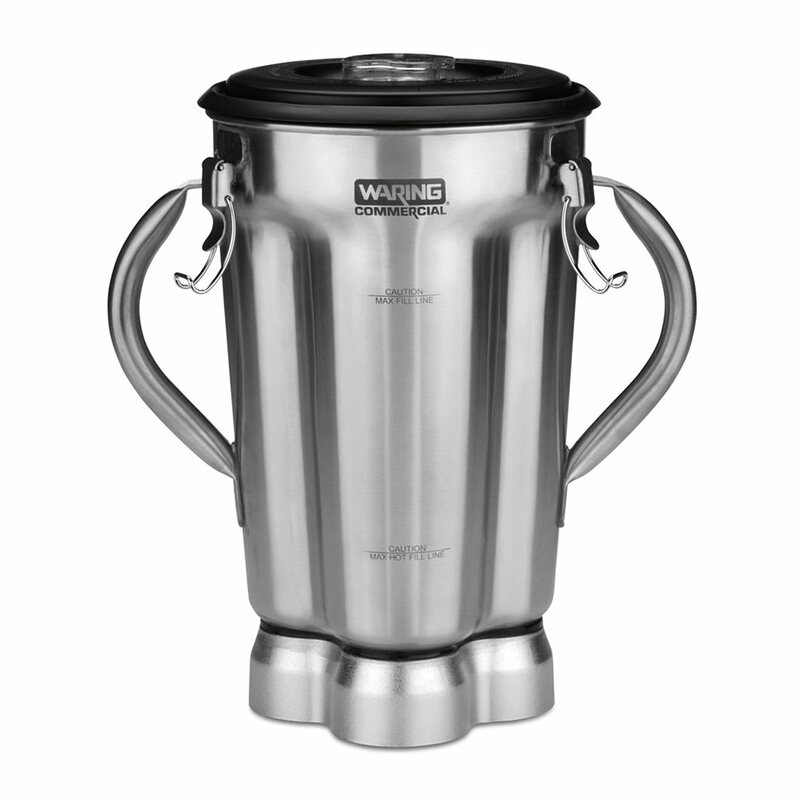 While users blend product, the ingredients are contained with a clear lid so product is visible. Two handles make it comfortable to carry.